Thanks to everyone who participated, and congratulations to Jack Pardee (1st Place), Wade Brooks (2nd) and Paul Bevans (3rd)! 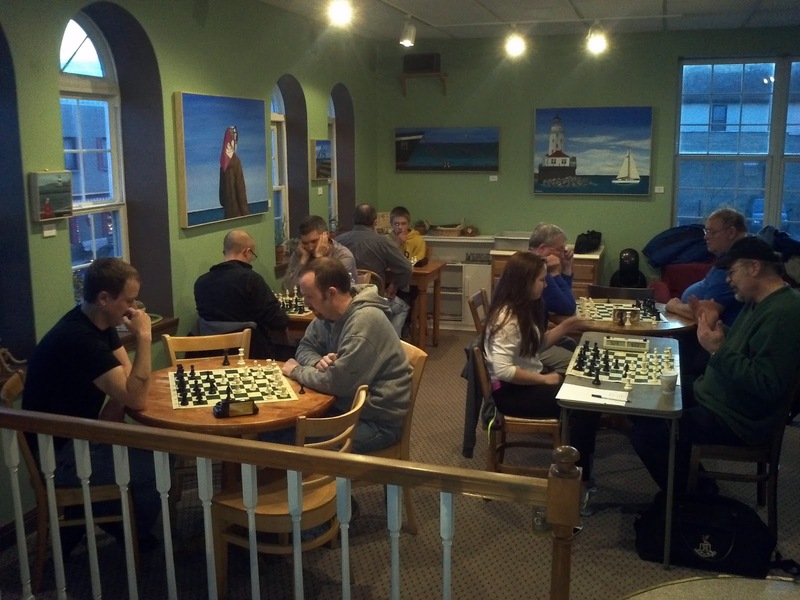 Also, congratulations to Steve Etzel for taking top honors in the first annual Java Dock President's Day Blitz tournament on February 18, 2013 with 4.5 out of a possible 5 points! Jason Flanders took second place with 4 points. Congratulations to Joe Hernandez who won our January 10 "mini tournament" with a perfect 3-0 score! Bob Bruch took second place with 2.5 points. 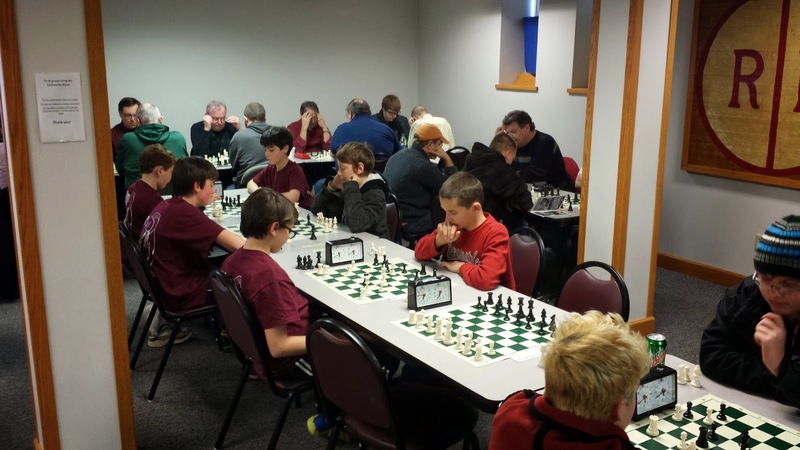 A total of 10 players turned out on a school night and competed in one section. 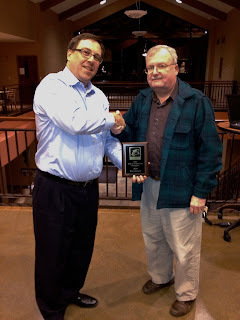 Tom Hudson was the TD. 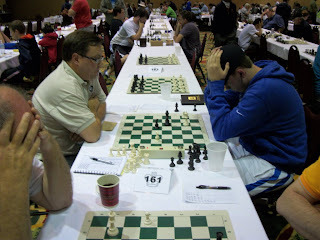 Dmitry Myaskovsky (l) and Al Buschmann (r) take their Round 1 game down to the wire. 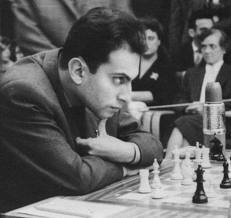 The tournament was played with a G/25, d/5 time control, which led to some exciting finishes. Click here for final standings and a complete crosstable. 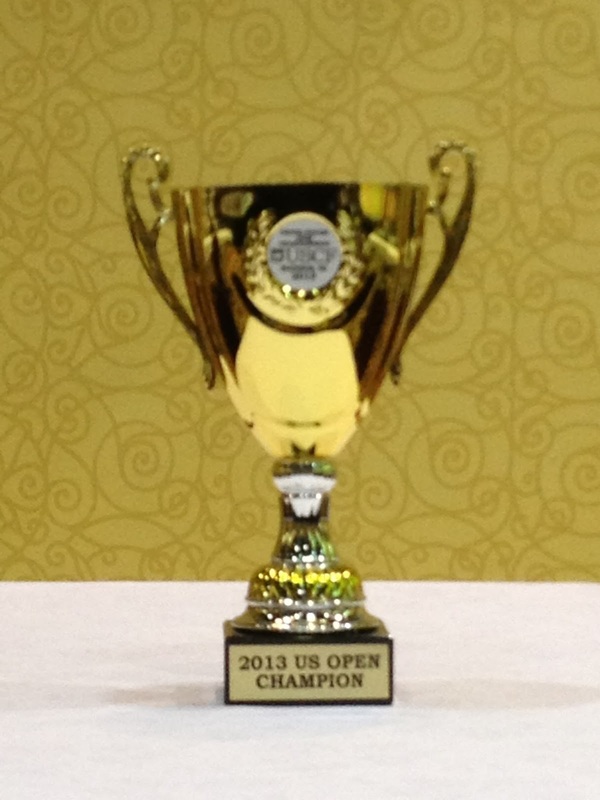 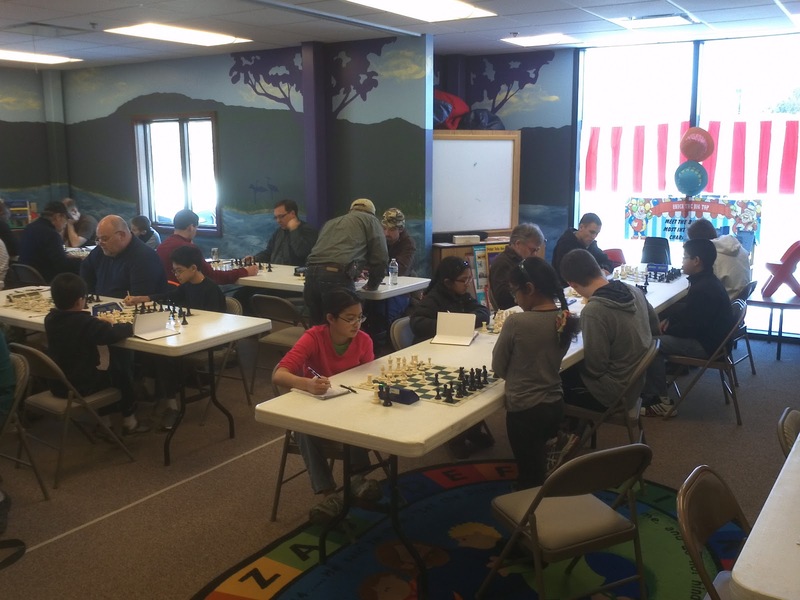 Since ORCA was formed in 2010, a total of 101 different players have participated in at least one of our USCF-rated tournaments. 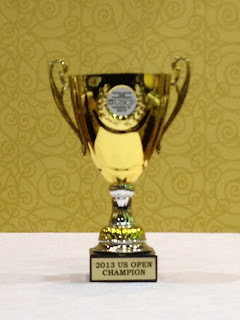 (stats). 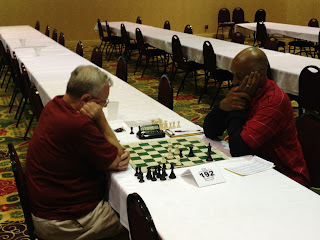 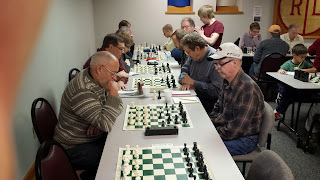 Round 3 action - in the foreground, Bob Bruch (left) anticipates Al Buschmann's move. 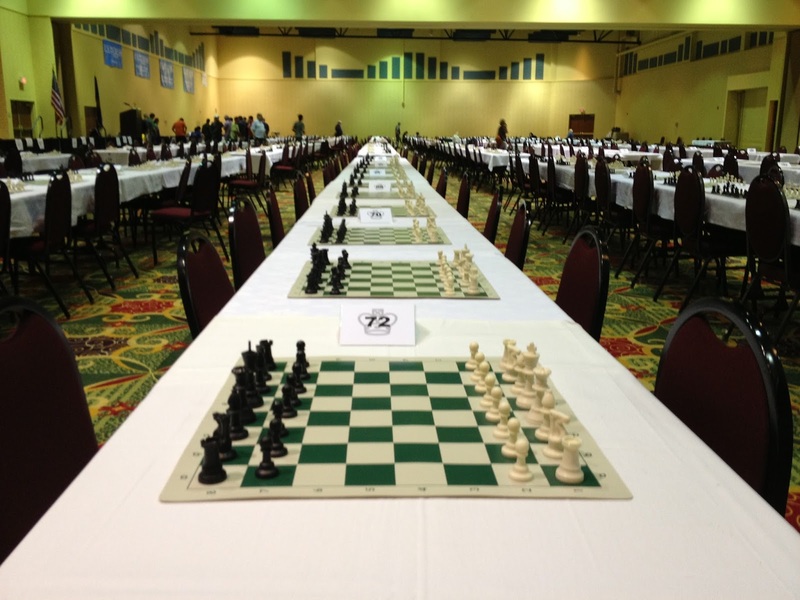 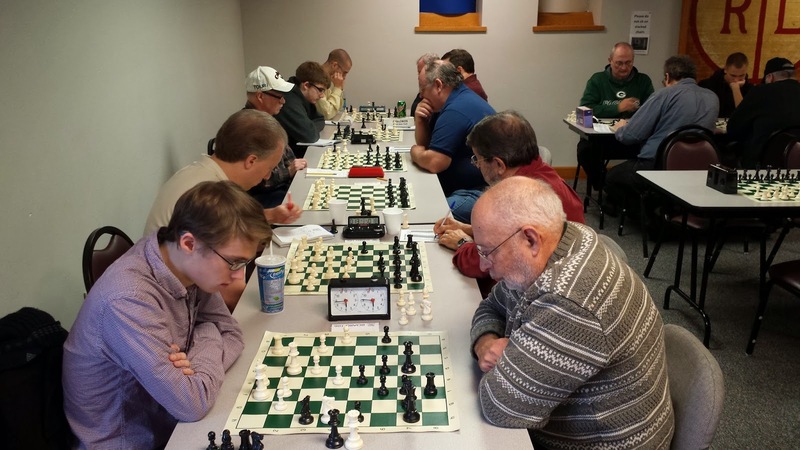 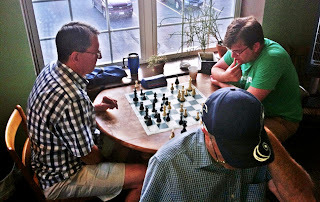 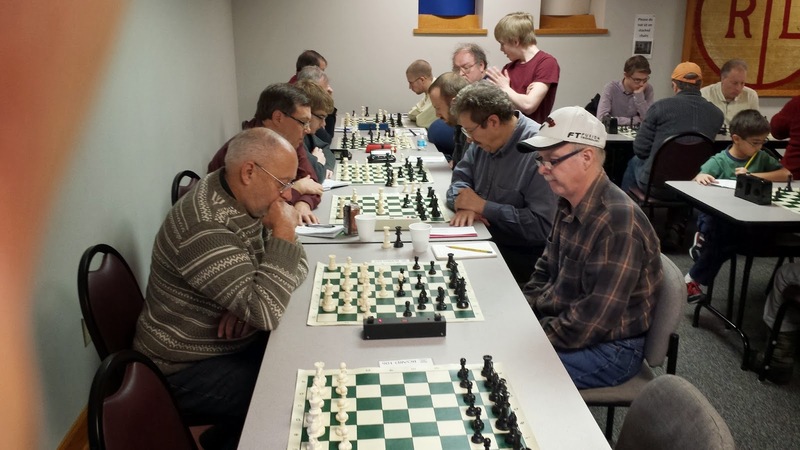 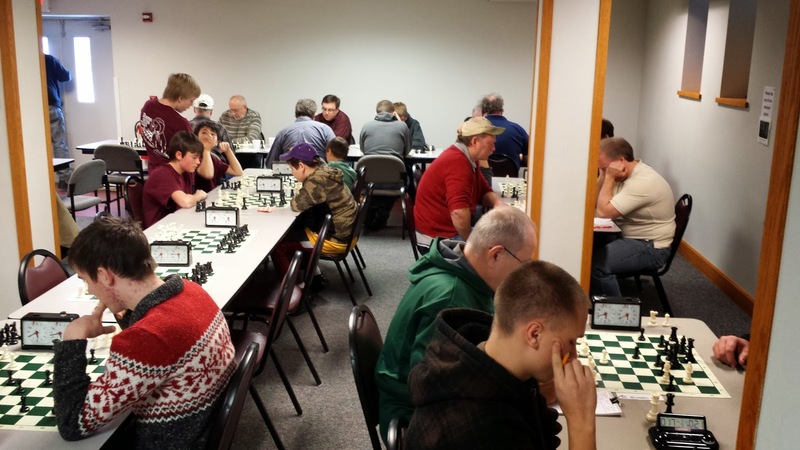 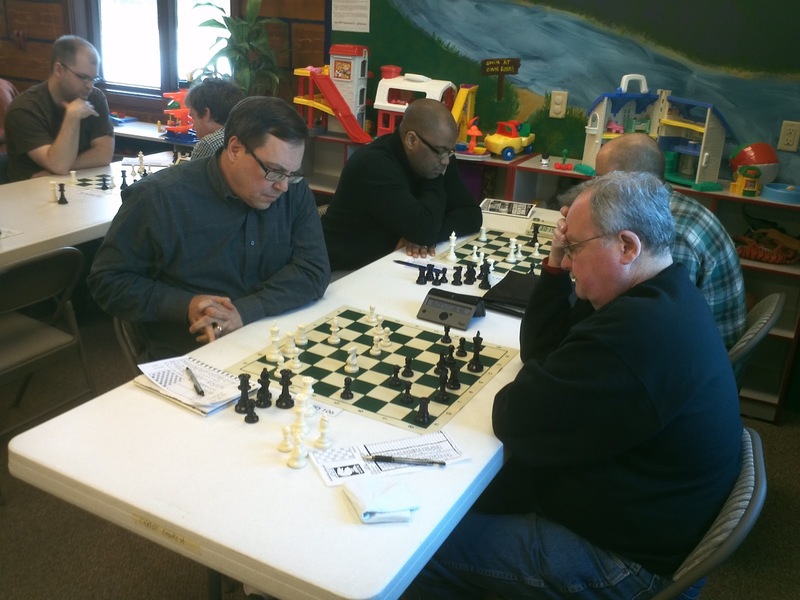 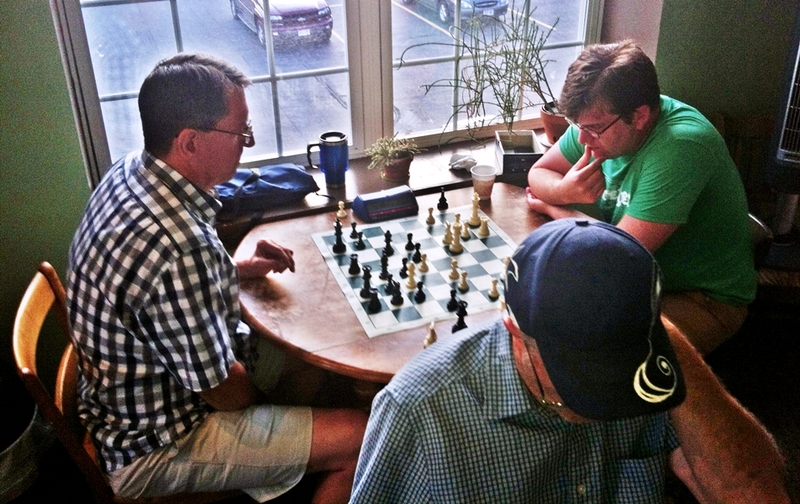 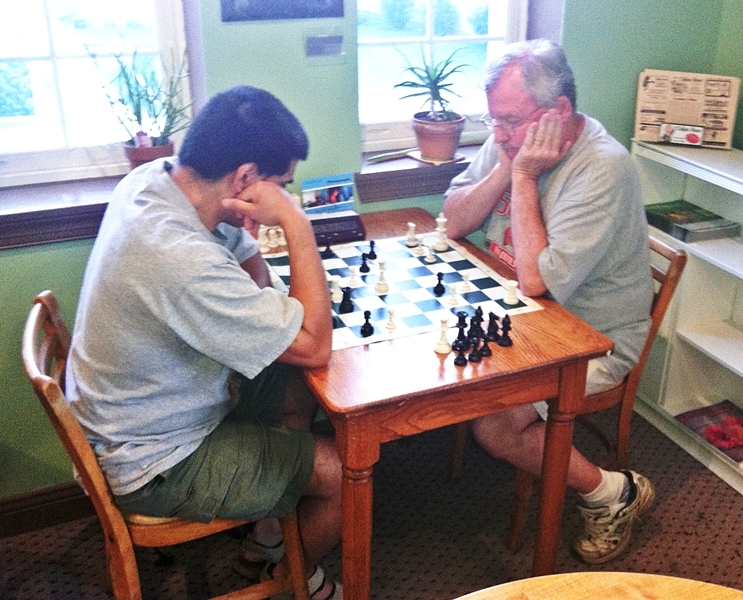 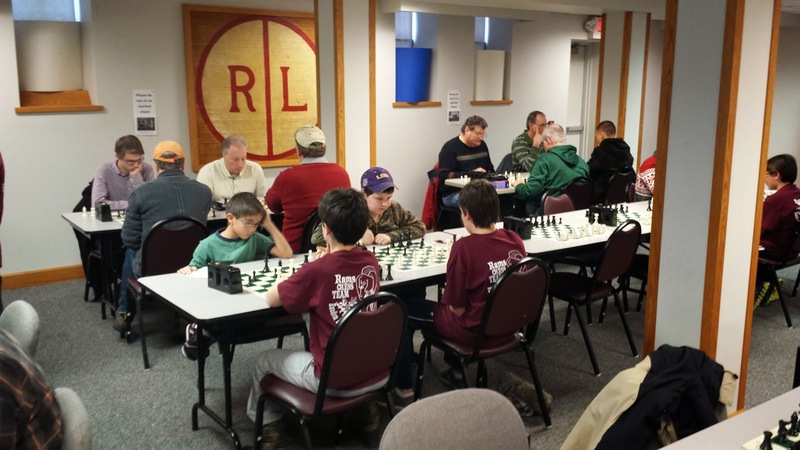 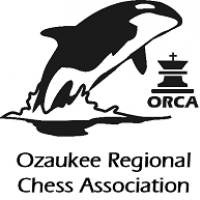 Welcome to the Ozaukee Regional Chess Association (ORCA) blog! 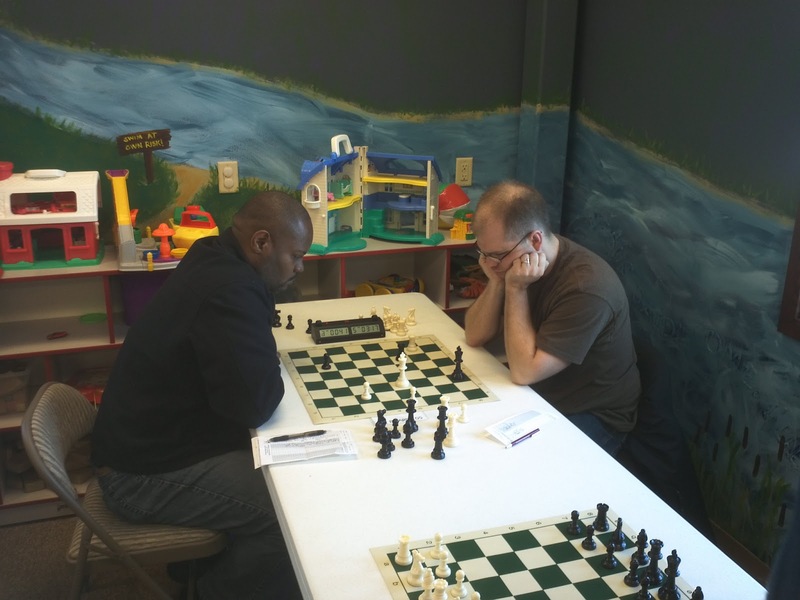 Here we will post news updates, tournament announcements and other items of interest relating to our organization or chess in general. This will be a supplement to our main website: www.orcachess.org.